One great truth in the PLM world is that OEMs don’t swap CAD systems unless there is an extremely good reason. That’s not to say it never happens, but it’s a rare event. Daimler Mercedes’ decision to phase out CATIA and replace it with Siemens PLM’s NX a couple of years ago is one of few examples. The move turned out to be a success – in less than two years, 6,500 coworkers went over from CATIA to NX — undoubtedly an impressive achievement. 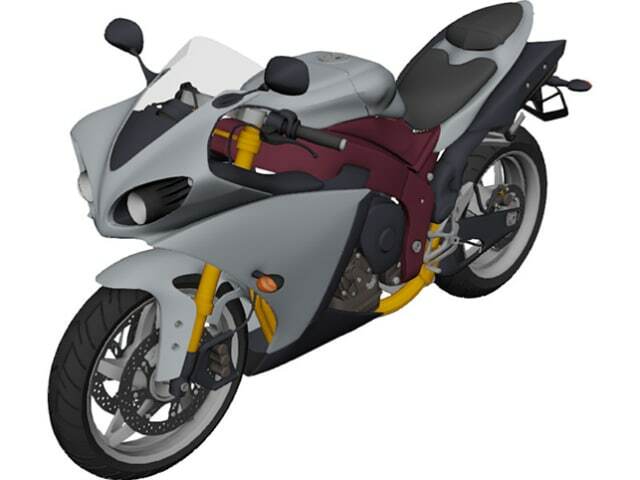 Today, ENGINEERING.com can reveal a similar event: Japanese motorcycle developer and manufacturer Yamaha will replace their existing CAD-CAE systems with Siemens PLM’s NX. However, there’s a certain difference vis-à-vis the Daimler case: what Yamaha will do is to phase out a proprietary CAD solution and replace it with a commercial solution. 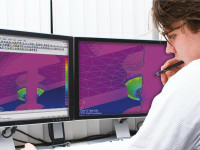 The same goes for the PDM side of this deal, which includes Siemens PLM’s Teamcenter. 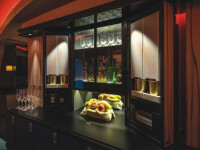 The number of licenses has not been officially revealed; however, my sources at Dassault Systèmes–which was the competitor in the final round–indicate that, “it’s a larger account, in the neighborhood of a thousand seats.” If accurate, these numbers will likely make this one of the year’s largest CAD and PDM deals in automotive. STEPPING UP PRODUCT REALIZATION. Modern product development requires a lot in terms of PLM software support, from product definition, through simulation to manufacturing. This is the overarching reason for Yamaha's motorcycle division to bet on Siemens PLM's NX to replace its proprietary system. They will also use the Teamcenter PLM suite. 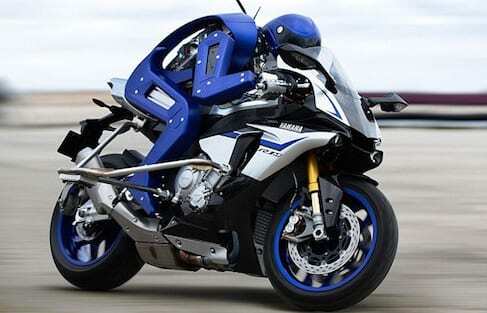 Above: Yamaha Motobot, a robot that rides a motorcycle to test self-balancing and autonomous operation. The fact that Yamaha’s motorcycle division, which represents two-thirds of the company’s operations, didn’t have a commercial system in place is rare. The number of players in the global automotive OEM arena that don’t have a commercial CAD-CAE system in place can be counted on the fingers of one hand. It’s true that a homegrown system can offer unique capabilities. 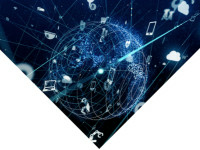 On the other hand, maintaining and taking a proprietary solution to the levels that today’s product realization environments require isn’t an easy task. In the long run, the idea of allowing specialists like Siemens PLM to take care of developing industrial software seems to be a better way to go. With systems engineering, advanced simulation, IoT, virtual and augmented reality, IIoT (Industrial IoT), Industry 4.0 concepts and software-linked semi-autonomous vehicles poised to take over, self-development of industrial IT support can remove too much focus from the core business. Bottom line: it will probably not only be cheaper, but also more resource efficient, to use a commercial solution. MOTORCYCLES ARE A DOMINANT REVENUE GENERATOR. The motorcycle division is the main revenue driver at Yamaha. The division takes in almost a billion yen, representing two-thirds of the company income. "Utilizing software from Siemens can help us achieve quality improvements, shorter development times and workload reduction, as well as enable the designers to spend more time on creating innovation,” said Makoto Shimamoto, senior executive officer and chief general manager of the PF Model Unit at Yamaha Motor. This reasoning chain seems to be shared by Makoto Shimamoto, senior executive officer and chief general manager of the PF Model Unit at Yamaha Motor. 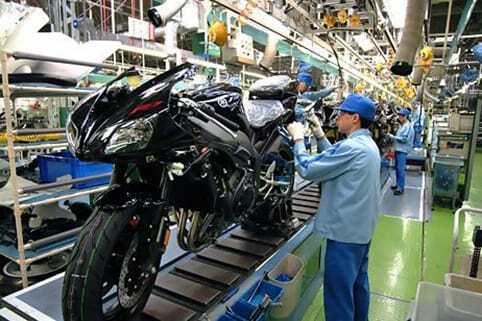 "Improving the development process for our motorcycles, which constitute our main product, holds great meaning for our company," Shimamoto said, explaining that, "Utilizing software from Siemens can help us achieve quality improvements, shorter development times and workload reduction, as well as enable the designers to spend more time on creating innovation. We expect that working with Siemens PLM will help us achieve the business goals of higher business efficiency and product competitiveness." As in the Daimler deal, there’s an aggressive implementation plan: in just 10 months, the systems are planned to be up and running. This is fast, and the process has already started. By leveraging the Advantedge set of PLM implementation best practices driven by Siemens, Yamaha Motor was able to start the large-scale deployment in a short period of time. 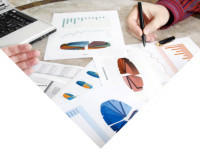 Advantedge can be divided into two areas: Methodology and Templates. The first is exactly what it sounds like. The Templates address the challenge of moving from an open and long PLM requirements interrogation process, to reviewing and implementing predefined and validated PLM best practices. The template practice uses a systems engineering approach to define and validate business processes to ensure that the PLM solutions support program business objectives. Yamaha plans to deploy NX and Teamcenter across all motorcycle development processes globally, which will create a fully integrated 3D product development process and an efficient integrated management environment for 3D master data. In the future, Yamaha Motor intends to build on this foundation to establish digital processes which link design with manufacturing technology to realize the digital enterprise throughout the entire process, from design to production. "With the environment surrounding the manufacturing industry significantly changing in recent years, we believe that digitalization enables continuous business transformation and innovation," commented Kunihiko Horita, Siemens PLM’s Japanese country manager. "We provide solutions throughout the entire value chain to support our customers' transformation to a digital enterprise. We are extremely proud that Yamaha Motor decided to adopt PLM software from Siemens to promote their digitalization strategy across the entire enterprise," Horita added. A TOUGH SITUATION FOR DASSAULT SYSTÈMES’ V6 IN AUTOMOTIVE. While French PLM developer Dassault Systèmes is strong on the CAD side in the automotive segment with their CATIA V5 solution, they are facing a tough situation regarding the V6 version on the 3DEXPERIENCE platform (with ENOVIA as PDM backbone). This in turn is a reason why Siemens PLM is closing in with its CAD flagship, NX. 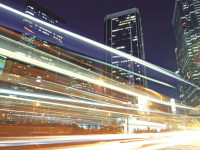 In the cPDm arena, Siemens Teamcenter suite has dominated the automotive market for many years. In the final round, Siemens NX and Teamcenter won the battle at Yamaha over Dassault Systèmes’ 3DX solutions. 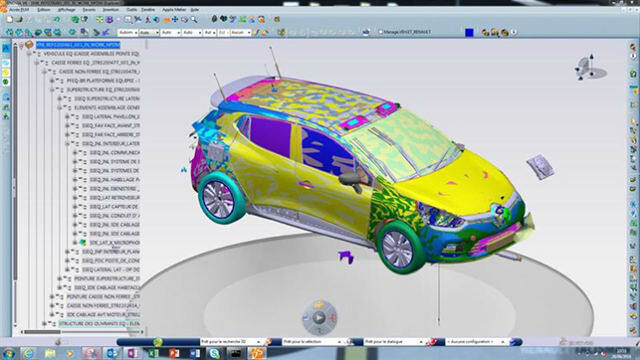 The picture above is from Renault, an automotive company using some of the 3DEXPERIENCE components. For tough competitor Dassault Systèmes, Yamaha’s choice of system is a set-back, and an indication that the big automotive OEM’s still haven’t bought into the solutions within the company’s 3DEXPERIENCE platform and V6. While Dassault Systèmes’ CATIA in its V5 version still holds a strong position in the automotive industry, Siemens NX–the company’s flagship CAD product–is gaining ground. Daimler is the great example, and Yamaha is another important indicator confirming the growth trend. Other big NX accounts include Fiat/Chrysler, Nissan and GM. 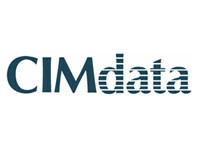 In terms of cPDm, the market trend is more unambiguous, with Siemens PLM holding a dominant position with its Teamcenter suite. As for CATIA in its V6, 3DEXPERIENCE based version, the situation is more problematic. ENGINEERING.com has previously revealed that this solution, in combination with 3DEXPERIENCE's product data backbone ENOVIA, so far has been a failure in Jaguar Land Rover’s iPLM project, which after seven years still isn’t up and running. The iconic British automaker is still mainly using their old combination of CATIA V5 and Siemens Teamcenter as a foundation for their product development process. 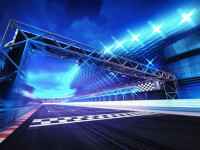 While waiting for the evidence that the 3DX platform and the V6 architecture have the necessary industrial maturity, automotive companies have generally stuck to the well-functioning Dassault Systèmes V5 solution, often in combination with Siemens PLM Software's Teamcenter/Tecnomatix suite. All in all, this is a frustrating situation for the future of Dassault Systèmes’ 3DX/V6 in the automotive segment. It’s not optimal to sit alone in a system used by almost no other player. If no one, or too few others, choose to invest in the V6 environment, the ones who are thinking about using V6 will risk ending up in a situation where communication with other development partners and suppliers becomes an obstacle due to system incompatibility. Furthermore, the motivation for Dassault Systèmes to bet large resources on specific automotive-related software product development will become more limited. 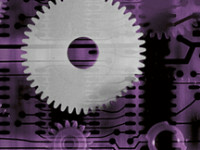 CHANGING MANUFACTURING ENVIRONMENTS. The environments in the manufacturing industries have significantly changed in recent years. 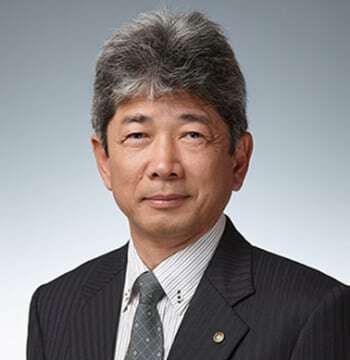 The type of digitalization that Siemens PLM can provide will enable Yamaha’s continuous business transformation and innovation, said Kunihiko Horita, Siemens PLM’s Japanese country manager. Yamaha Motor plans to deploy NX and Teamcenter across all motorcycle development processes globally, which will create a fully integrated 3D product development process and an efficient integrated management environment for 3D master data. NX, used for digital design and engineering analysis, will enable designers to work more efficiently and collaboratively, enabling shorter time to market and faster innovation cycles. Using Teamcenter as the digital thread across the product development process will allow global teams to work with a single source of the latest product data. Reading between the lines, it may be that Yamaha — CAD aside — also will use Siemens CAE and digital manufacturing solutions, sooner or later. Nothing is said in the press material about the rest of Yamaha, but if the motorcycle department succeeds reasonably well, the deal could grow even further.